I enjoy sewing and quilting. I have a stash if really cute Easter fabric with bunnies and spring scenes on it. I decided that it would make really cute mug rugs. 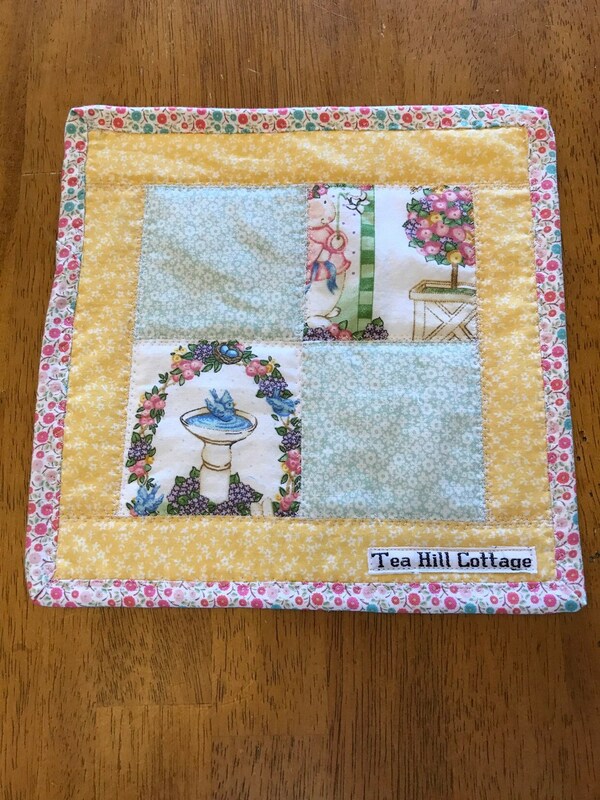 I made a four patch quilt block with two of the bunny/spring blocks and added a sweet mint green floral pattern for the other two blocks. I used pink chevron and a yellow print for borders. I added pretty floral backs and bindings on the mug rugs. 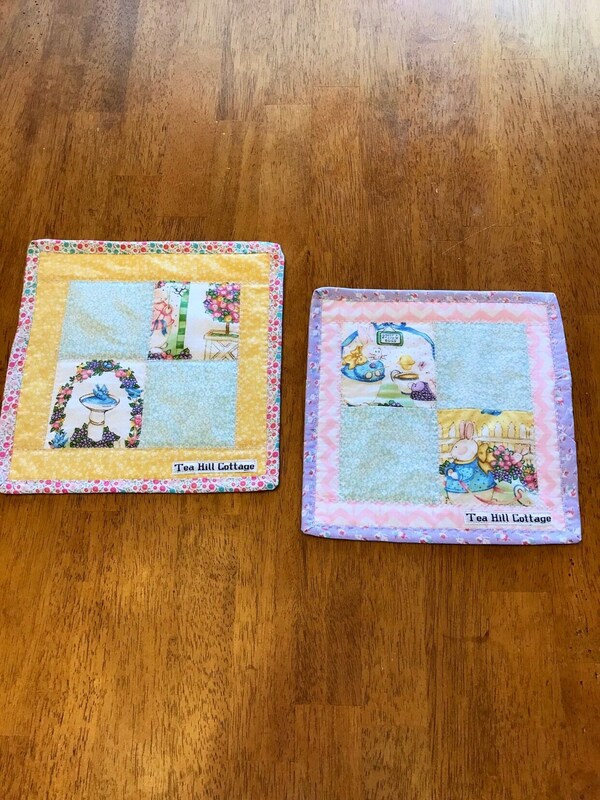 The mug rug with the yellow inner border measures about 8 3/4” square. 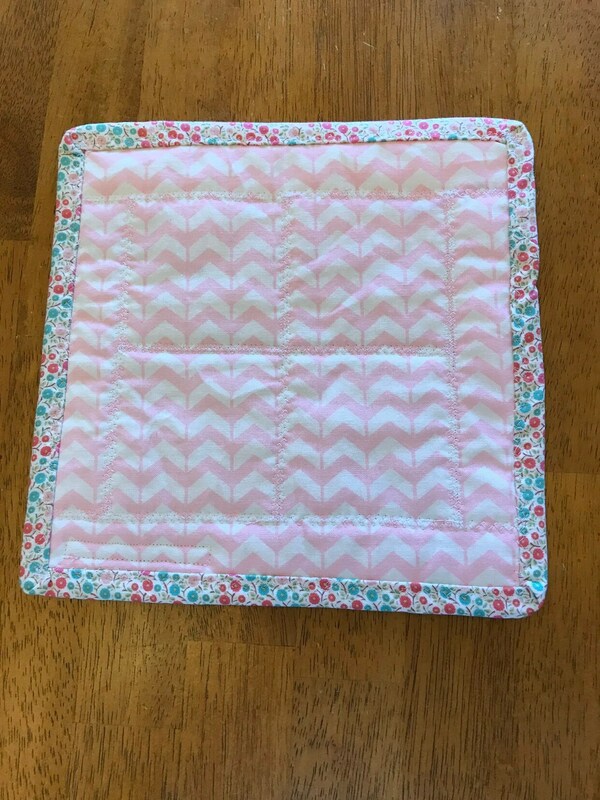 The mug rug with the pink chevron inner border measures about 8” square. 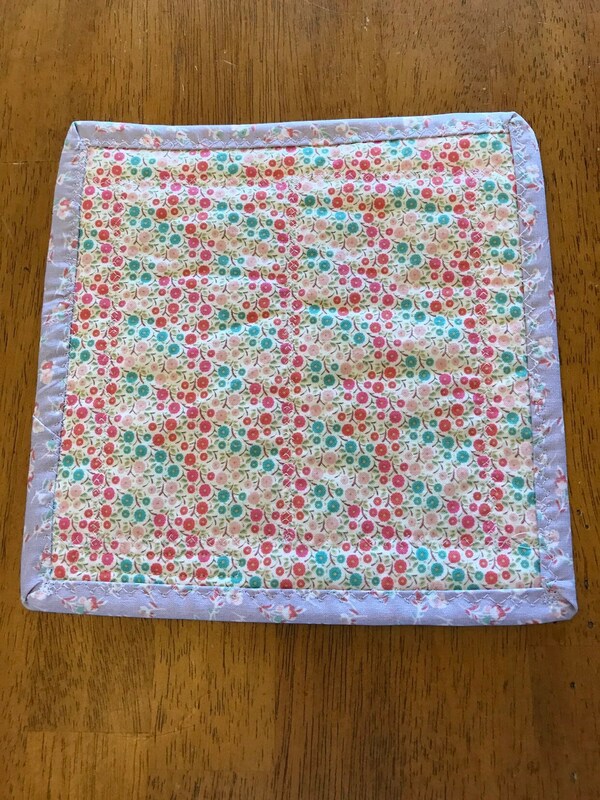 I used a decorative stitch to quilt the mug rugs. 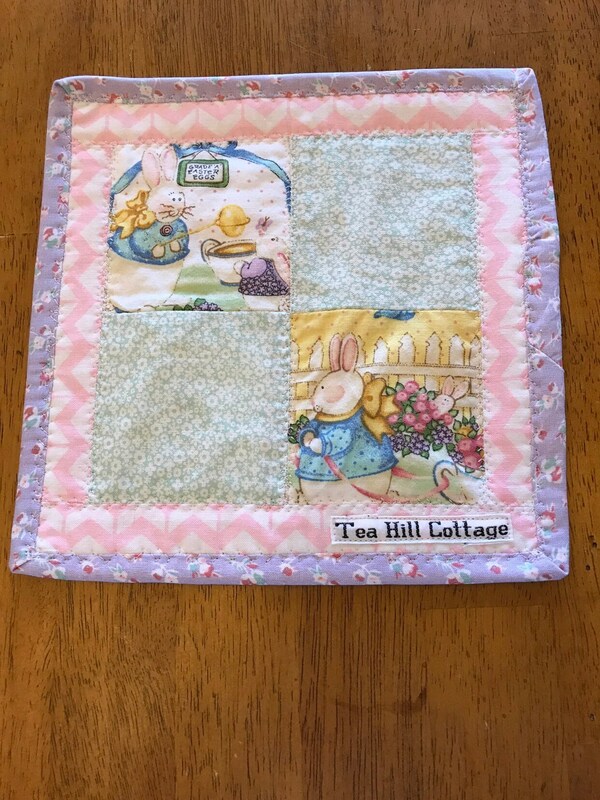 My Tea Hill Cottage label adds the finishing touch. 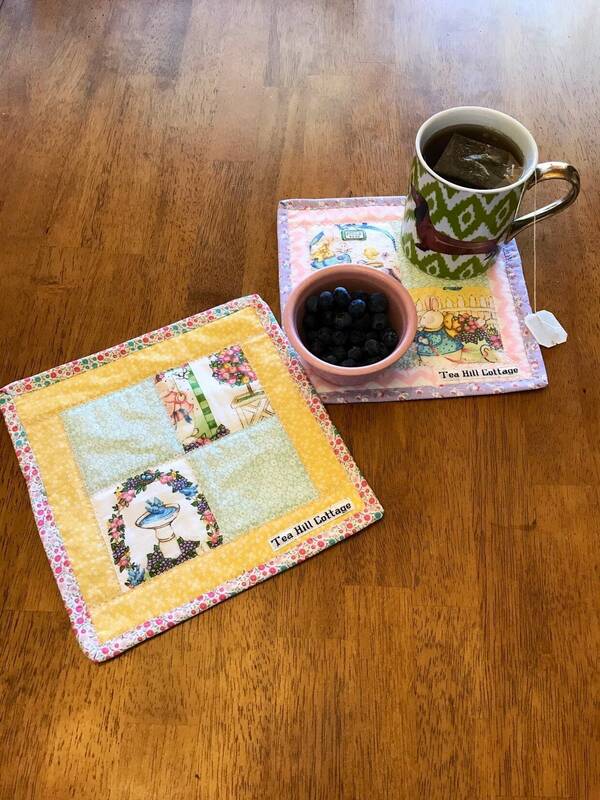 These mug rugs would make great gifts for Easter or anytime. They may be folded for shipping. Mist lightly with water and press gently with a medium hot iron to remove and fold lines. Machine was cold and dry on low. I made these in my smoke free and pet friendly home.